Communication is critical for building relationships, comprehension, educating others and giving clear direction. We may use words, facial expressions, hand gestures, body language, emojis or choose silence to communicate an emotion or thought to another person. I teach that all things need INTENTION.PURPOSE.RESULTS and how we communicate is no exception. If you take these following recommendations to heart and adapt the changes into your practice, you will see an increase in case acceptance, a more empowered team and improve your leadership skills. This list is compiled from personal and observed experiences when failing to use intentional words. Conversely, when intentional words are used, the patients response is immediate and positive. Keep in mind there will be a transitional time to retrain your brains when you and your team commit to these intentional communication recommendations. The most common complaint I hear is “we don’t have time.” None of these strategies will take extra time in your schedule and you can start today! 1. Remove the word “just” from your vocabulary. What the patient perceives is devaluing or minimizing the need for a procedure. It is NOT “just a cleaning”. When a patient says, “I just need a cleaning.” Replace with, “OK great, Mrs. Patient. Let’s go ahead and reserve your next appointment for your hygiene visit.” This takes out the word just and helps to give a higher value for the next visit. 4. Keep Eye Contact with Patient when reviewing X-rays. At my last hygiene visit, the doctor was talking to the computer screen and explaining what he saw…to my X-rays. He didn’t look at me until he was done. Honestly, I was annoyed and maybe I’m overly critical because of what I do. I don’t think anyone would disagree that dental professionals want to educate and help their patients. What I have observed is the passion that comes through when a dentist or hygienist is explaining what the X-rays are showing. Depending upon how it’s presented, it may come across as overly clinical or overwhelming for the patient. Watch the patients body language and response when going over next steps and ask clarifying questions. When time allows, review the X-rays ahead of time at another computer screen so you have an idea of where to focus your attention. Understandably, some operatories are set up more conducive for effective eye-contact. Even so, I challenge you to intentionally make eye contact with patients while reviewing X-rays and notice how your case acceptance increases. 5. Replace “confirm with “reserve”. 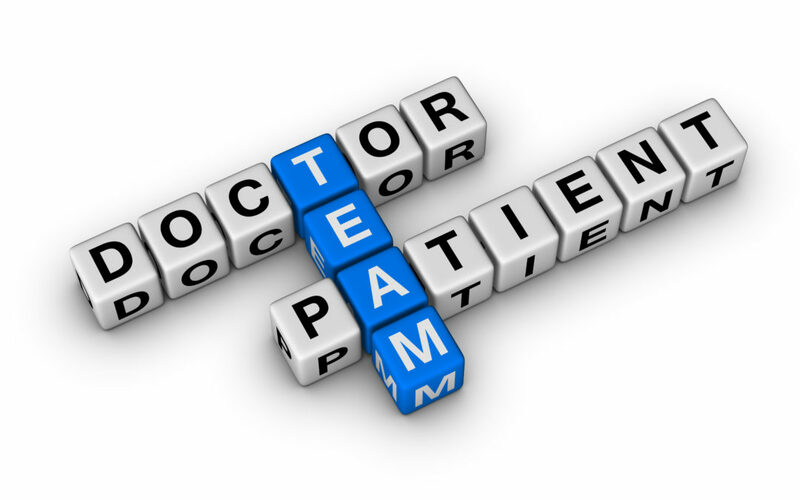 When a team member is making calls to “confirm” an appointment, what is the message we want to relay to the patient? Do we want them to think their appointment is optional? Or that it is OK to cancel last minute? No, we don’t and sometimes the most subtle changes in how we convey a message can increase patient compliance. Instead of “I’m calling to confirm your appointment,”replace with, “Hi this is Amy from Dr. Crown’s office and I’m giving you a courtesy call for your reserved appointment on Tuesday October 30th, at 2:00. We will see you then!” If you have automated systems, check the verbiage and update accordingly. Having a consistent message throughout the office is important for the patient to hear.